Curly hair is commonly dry and brittle, there are many products available on the market for curly hair, but those are damaging your hair. It is advisable to use homemade hair masks. However, we can find all these natural ingredients available in our kitchen that will help us to restore our hair from the roots to the tip without damage caused by chemical products. Make these homemade hair masks for curly hair is simple and cheaper than you think. If your hair is dry due to chemical treatments, vegetable oils are the most recommended in these cases. The high content of vitamins, fatty acids, and minerals provide health to your hair and essential nutrients to maintain shine. It is advisable to combine various oils to optimize the results and achieve effects in a short time. Leave it for about 20 to 30 minutes then wash it with your regular shampoo. Repetitions: Do this once or twice a week. 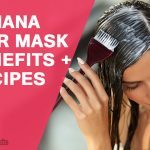 This homemade mask not only gives health and shine to your hair but it will also help you to untangle your hair if it is much damaged or too frizzy. It is a natural and excellent option for this type of hair. Honey is known to be a natural moisturizer, which helps to restore the moisture of our hair especially when it is dry due to the damage caused by chemical agents. Wait for at least 30 minutes then rinse with warm water, try to use a mild shampoo. It is one of the most used medicinal plants for health and beauty. Aloe vera contains 20 minerals, 12 vitamins, 18 amino acids and a lot of nutrients which help to the overall health of our hair. Wait for 30 minutes and then rinse with plenty of warm water. You can use this hair mask twice a week for optimal results. Fenugreek seeds are rich in minerals and are high in protein. It has an excellent source of lecithin, which is a great emulsifying agent, which maintains moisture making our hair more flexible, which gives us an appearance of natural curls. Repetitions: Recommend to use this mixture at least two times a week, the results will surprise you. Acidic properties of apple cider vinegar help to maintain the natural PH level of the hair, softening the wave of your curls. Astringent properties of apple cider vinegar help to close the cuticles around your hair. It makes the hair smoother. Repetitions: It is recommended to use it 2 or 3 times a month. Banana contains potassium which is essential to prevent dry and lifeless hair. On the other hand, yogurt contains proteins which help to strengthen and give vitality to the hair. 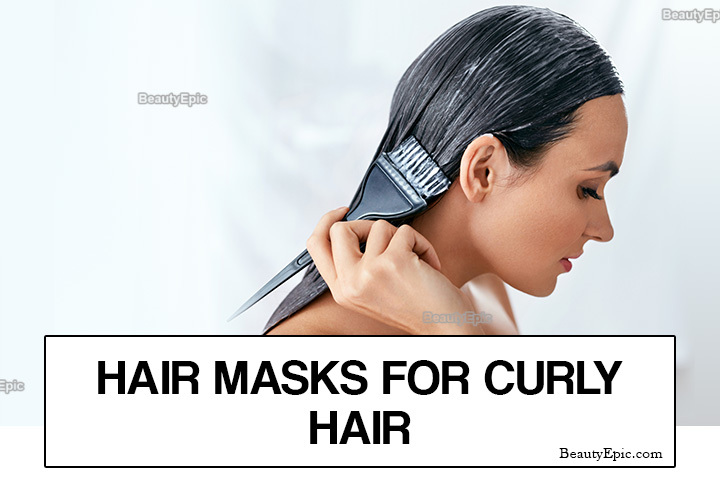 Preparing them together make us have an excellent mask for moisturizing and strengthening hair. Repetitions: Do this mask once or twice a month. These homemade masks that we recommend are very simple to make at home, and you have to find the best one that suits your hair. However, it is essential to follow these safety tips to take care of your curly hair. Use a Shampoo and conditioner suitable for your hair type. Cut the ends of your hair every two months. Follow these tips and the hair masks that we recommend, and you will have beautiful and healthy hair. These homemade masks that we recommend are very simple to make at home, and you have to find the best one that suits your hair.